On the 26th of january I will play the baritone saxophone in the Radio Philharmonic Orchestra in the ZaterdagMatinee at Concertgebouw Amsterdam. The baritone saxophone is featured in a beautiful recitativo solo in the beginnning of the symphony. 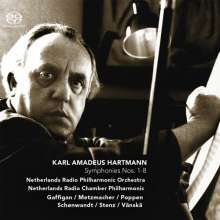 The concert is broadcasted live on radio 4 and will be released in a CD BOX with all Hartmann Symphonies.